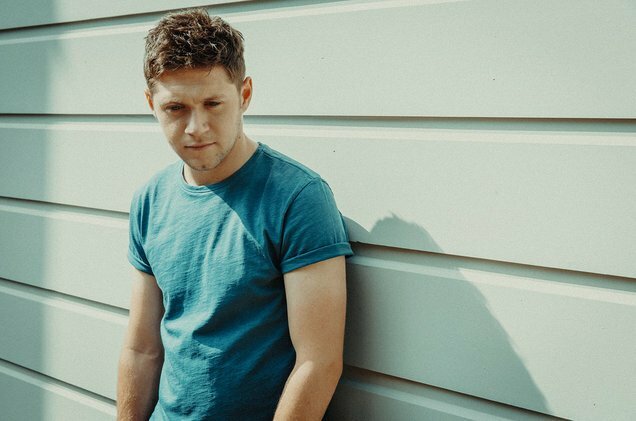 Niall Horan Is Heartbroken In “Too Much To Ask” Video – Watch Here! Who would have thought that Niall Horan would be the most successful solo artist to come from the group One Direction. I say that because all three of his singles have hit the number one spot on ITunes, none of the other guys could do that! It seems like now that he has gotten rid of the highlights, it has brought out a new brooding side of him, and I am totally here for it. Niall is also definitely over 21 so it’s all good, it’s not weird any more! This song is absolutely amazing. I wouldn’t say it’s as good as “Slow Hands” but it is definitely better than “This Town”. I am telling you solo Niall Horan has a lot going for him and I can’t wait to see what else he has to offer to the music world! I would like to formally apologize too because back in the day I said that he would only be a television show host or something. Sometimes I am wrong, sometimes! Posted on September 22, 2017 Categories Celebrities K-ZTags 2017, music, music video, new music, Niall, Niall Horan, one direction, Too Much to ask, YouTubeLeave a comment on Niall Horan Is Heartbroken In “Too Much To Ask” Video – Watch Here! Fergie & Nicki Minaj Team Up For “You Already Know” – Watch Here! Fergie is finally back and I think that is something we can all cheer about. We have only waited like ten years for new music, so far so good though. I love this song, I could definitely see myself trying to dance to it and failing, but still trying. Fergie is back with her rapping, her singing, and producing bops. Now don’t think I am trying to compare this song to “London Bridge” or any of her other bops, but it’s a solid song. I think she should have put it out at the start of summer because this isn’t really a winter song. I would rather be bopping to it on the beach rather than by a fire if that makes sense. Nicki killed her verse though. On another note, I still wish that Fergie released “Ready For It”, Taylor did fine with it but Fergie would’ve slayed that song. Posted on September 13, 2017 September 13, 2017 Categories Celebrities A-J, Celebrities K-ZTags 2017, collaboration, Fergie, music video, new music, Nicki Minaj, video, You already know, YouTubeLeave a comment on Fergie & Nicki Minaj Team Up For “You Already Know” – Watch Here! Honestly, whenever I write about Lana Del Rey I feel like I am not cool enough to even listen to Lana Del Rey. There is just something about her that makes her feel cooler than any other artist out there. It’s probably her incredible voice and the fact that she is absolutely stunning. This video is really beautiful though, it’s about losing a love and the visuals go along with the lyrics so perfectly. Lana Del Rey is the most consistent artist out there. All of her videos are incredible, all of her songs are beautiful, I can’t get enough of it. Kelly Clarkson Is Back With “Love So Soft”! Oh my god! Kelly Clarkson has come back to save the music industry and it is all I have ever needed! This sounds more like Kelly’s earlier albums and I am totally here for it. She is one of my all time favorite female vocalists and I still think she is underrated. I mean nearly every song she puts out has been in the Top 10 but I guess people would like to forget about those stats. She is the original American Idol, she deserves your respect. Posted on September 8, 2017 September 8, 2017 Categories Celebrities K-ZTags 2017, american idol, Kelly, kelly clarkson, Love So Soft, new musicLeave a comment on Kelly Clarkson Is Back With “Love So Soft”! Zayn & Sia Team Up For “Dusk Till Dawn” – Listen Here! Honestly, I didn’t want to even write about this song because we will never hear it sung live. I understand that Zayn has anxiety and whatever else, but maybe he should stop putting out music and focus on being in the background. Okay, now that I got that out, I have to admit that this song is pretty good. Zayn and Sia sound great together. There is just one thing that I wish Zayn would do, enunciate! Those words have syllables and they are there for a reason! This has been my issue with him since he started as a solo artist, pronounce those words for me Zayn! The video and song are solid though, so I give both Zayn and Sia credit for that. Posted on September 8, 2017 September 8, 2017 Categories Celebrities K-ZTags 2017, Dusk till dawn, music, music video, new music, Sia, ZaynLeave a comment on Zayn & Sia Team Up For “Dusk Till Dawn” – Listen Here! Taylor Swift Drops Surprise Song “…Ready For It” – Listen Here! Oh my god! What did I just hear? Why is Taylor Swift trying so hard to be like Fergie in this song? I mean, what is actually happening right now?! Let’s be clear, I kind of like this song, I am sure I will like it after like four more times on repeat. It just reminds me of something that Fergie would have put out in the early 2000’s or something. 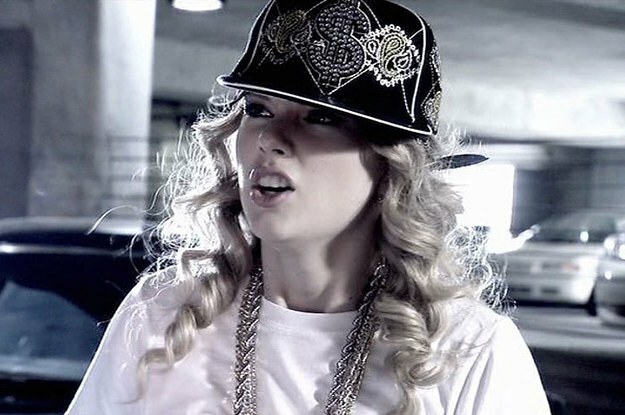 I just can’t take Taylor seriously as a rapper? Is she trying to be a rapper? I mean I kind of feel like she is trying to throw everyone off and neither of her two songs that were just released will be on her album. Can you imagine that sneaky snake move? Other than these two songs it’s actually all country, I would lose my mind in the best way possible. Honestly, I am just going to say I kind of feel like this song is about Harry Styles. She talks about them being ghosts and Harry wrote a song called “Two Ghosts” which is definitely about Tay. Again, I don’t hate this song. I think it is definitely different for Taylor, if someone else who could rap sing put it out I would be more about it. Basically if Fergie did it I would be 100% down for it. Right now though? I am like 80% down for this. Kind of a high percent but not totally sold on thug life Taylor. Posted on September 4, 2017 Categories Celebrities K-ZTags 2017, Harry Styles, lyrics, music, new music, Ready for it, Taylor, taylor swift, YouTubeLeave a comment on Taylor Swift Drops Surprise Song “…Ready For It” – Listen Here! Halsey dropped her “Bad At Love” video and I am totally here for it! Personally, this is my absolute favorite song on her album, it’s just so catchy and I love it. I love all of it! Fun fact, Halsey also directed the video. After watching the video I have decided that it means never fall in love, just hang out with your friends because they always have your back. This song is definitely AIM profile worthy. If you don’t know what that means, I am sorry I am so old.